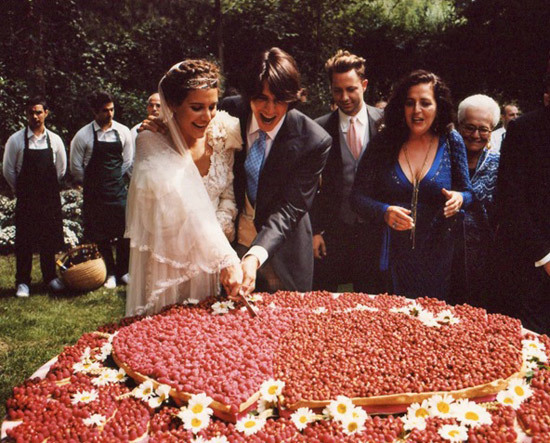 I know its an old one, but I’ve just gotta blog about Margherita Missoni’s wedding, which took place back in June 2012 in the small town of Brunello, Italy. 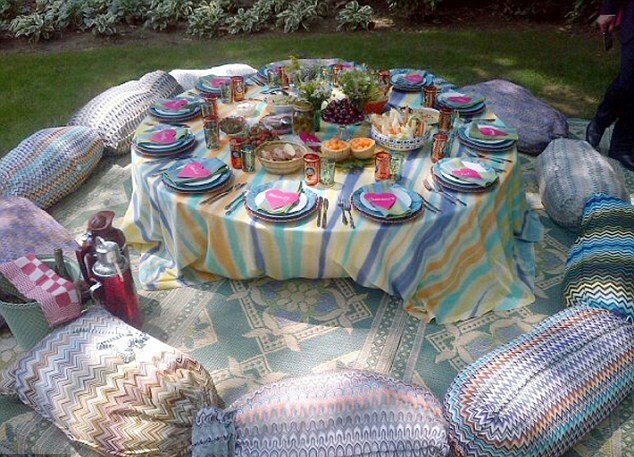 Every picture that I can find depicts the same really laid back, chilled out boho feel wedding party. Everybody is constantly smiling. Margherita designed the dress herself, which was made by the tailor’s who had known her growing up (she also had close counselling from close friend Giambattista Valli.) The dress is cool and gypsy, and made from flower-embellished Missoni silk with voluminous organza sleeves and was totally in keeping with the relaxed feel to the day. 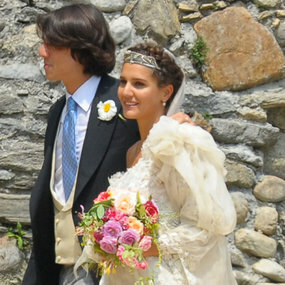 Her hair was braided which kept her veil in place, which was swapped for a daisy-chain headpiece for the evening (as well as a blush pink version of her dress) and flat silver gladiator sandals. I know, it all sounds a bit odd doesn’t it? But look how well she pulls it off. All so natural, and not at all over ‘done’, which is why I love it so much. For me the whole Missoni ethos is mismatched chic, colour clashing, highly patterned prints, very laid back, and generally has an extremely cool feel…which has been completely encapsulated in Margherita Missoni and Eugenio Amos’ day. 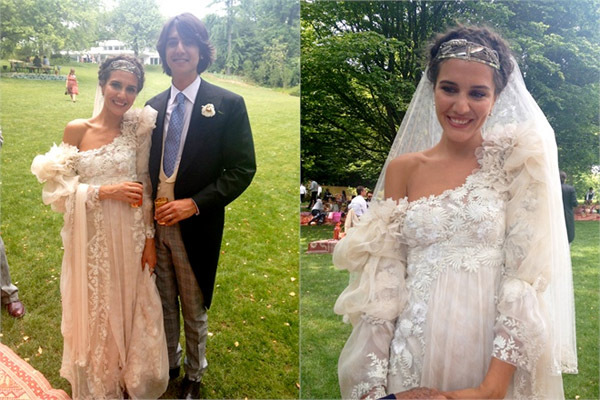 Even the bridesmaids wore clashing print maxi dresses in various colours and ex French Vogue Editor Carine Roitfeld dressed up as a gysgy! So clearly this was the order of the day. The reception looks truly amazing, and if the day ever comes (!) I will definitely be taking a few pointers from the styling here. 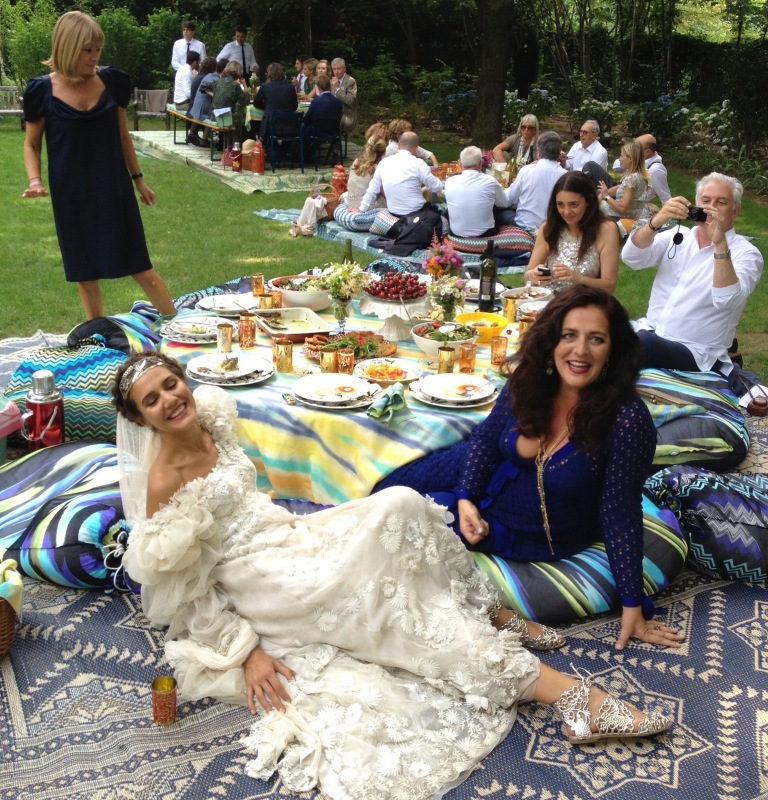 Guests were entertained by a gypsy band, acrobats and a fortune teller and ate Moroccan style around low tables with Missoni floor cushions (of course) so luxe! 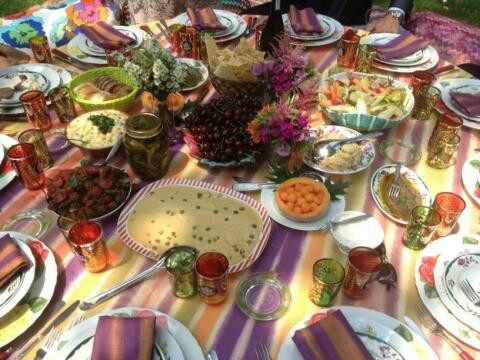 The cake was a heart shaped pastry covered in berries, the food was a ‘tuck in’ style with big bowls and servers on each table and the table fabrics and crockery were all Missoni. I’d like everyday of my life to be like that. My favourite wedding to date. 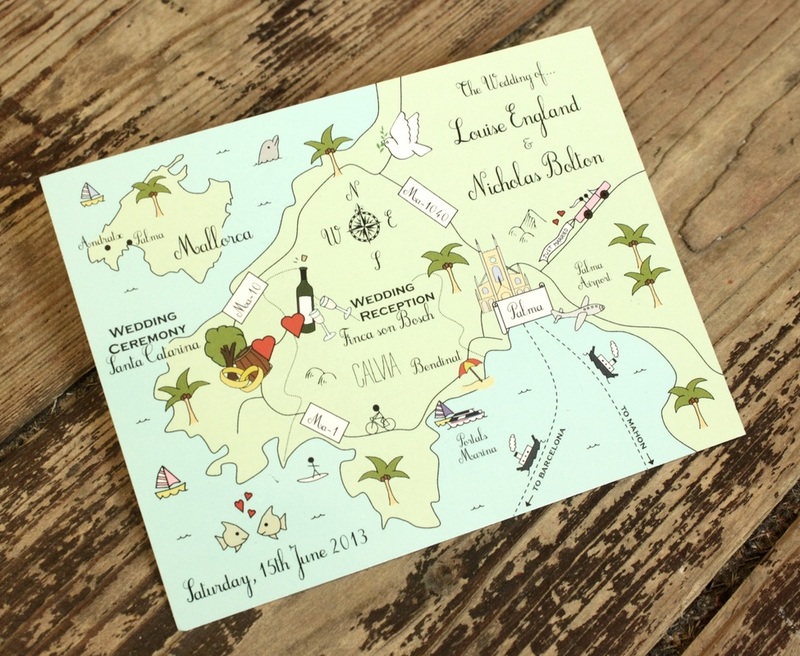 The Vision for The Day – To celebrate our wedding day at the seaside with our family and mates. 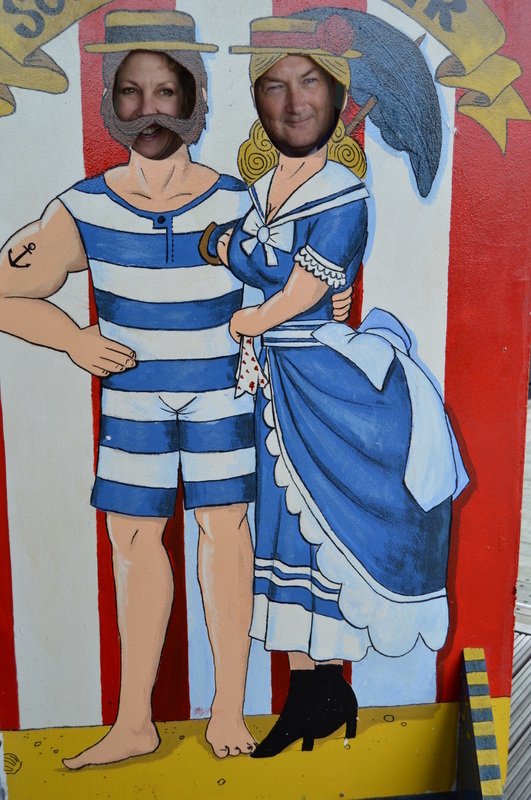 This morphed into a wedding day at the seaside with a soupcon of piratehood. 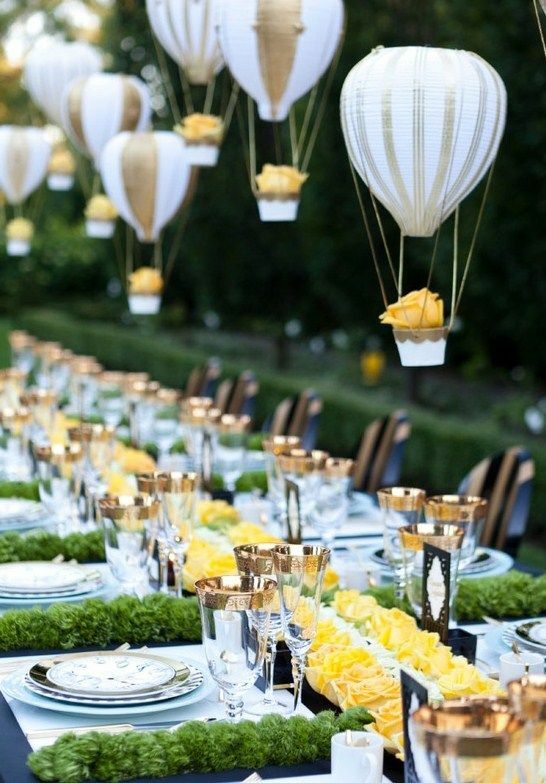 The Planning Process – We wanted the Best Party Ever. This involved adding elements of every idea we ever had about what a Best Party would involve…as we are quite old, there were lots of them! 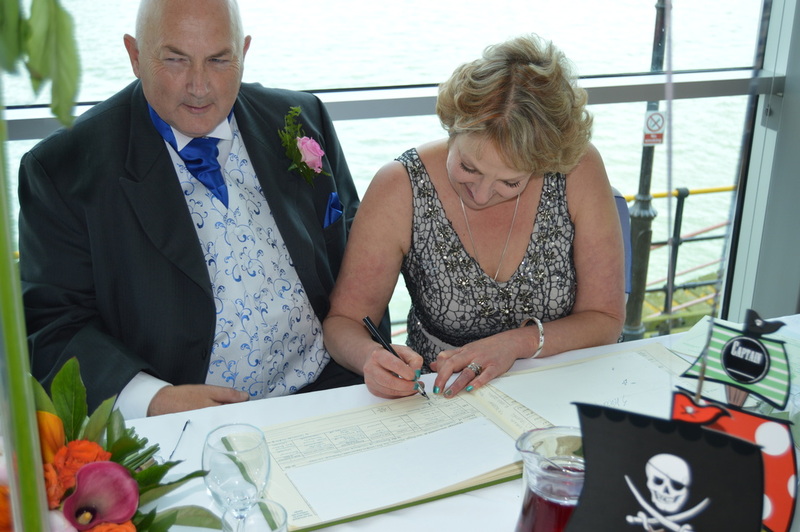 We had plenty of time to sort out who would be in charge of what, which gave me complete control of the playlists and Ian the opportunity to go all Pirate on the table decorations. Some of our first “non-negotiables” were that we didn’t want a day-into-night wedding (we did the whole thing from 12 noon til 5, which gave everyone their evening back…we went to see a band in the evening along with some of the guests who were staying over), and that we didn’t want an official photographer. Budget & Venue – £10,000 all in (came in under budget!). 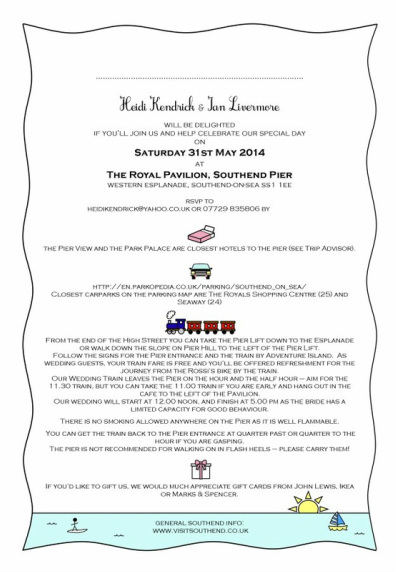 Venue was the very beautiful Royal Pavilion, Southend Pier, Southend-on-Sea, Essex. 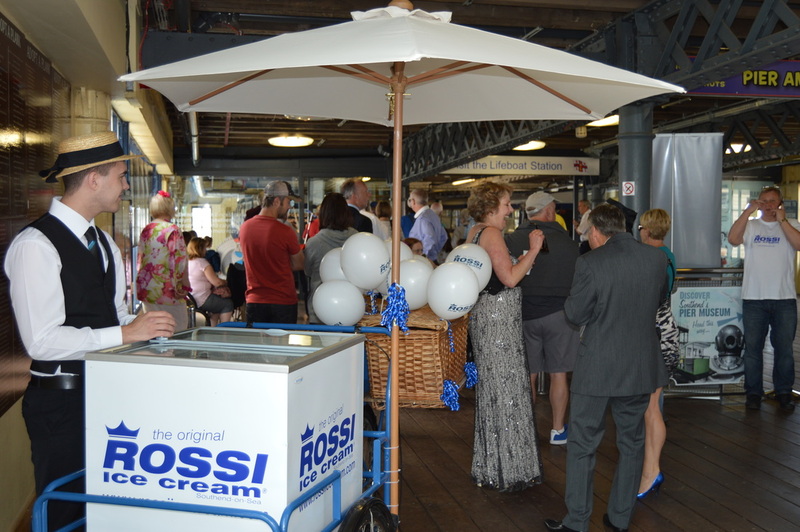 We had our own wedding train to take everyone down to the end of the pier, and Southend’s finest ice cream, Rossi’s, handed out to guests as they boarded the train. The table decorations evolved organically after a visit to Hobbycraft, whose pirate ship centrepieces Ian had to have. The Dress and Accessories – Dress: Phase Eight. Shoes: Irregular Choice. Necklace and earrings from Pilgrim, bracelet was my “something borrowed” from my happily married mate Angela. 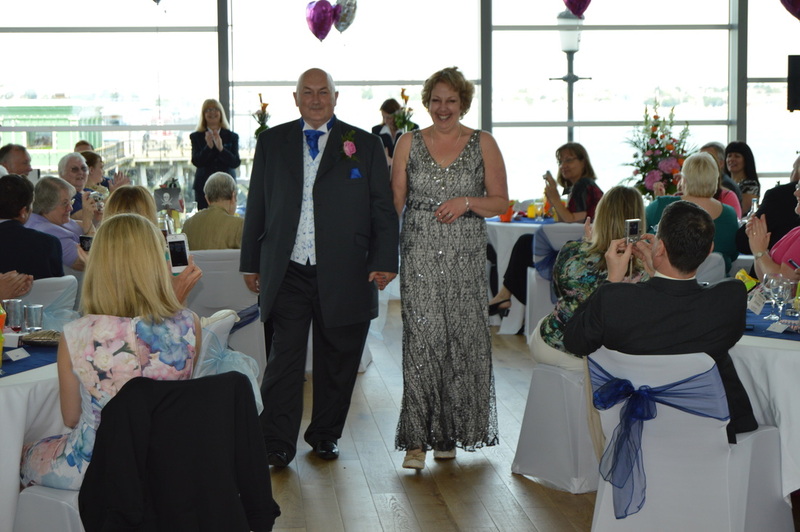 Grooms & Bridesmaids attire – the rapidly shrinking Ian (who lost 3 stone from first fitting to wedding day) wore a very handsome grey suit with an embroidered waistcoat which arrived after breakfast on the morning of the wedding, along with a variety of hats. 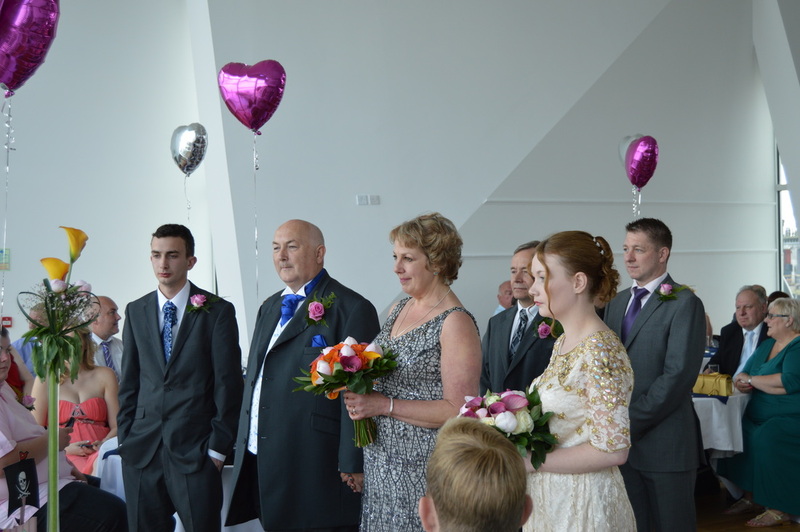 His daughter Lauren was the stunning bridesmaid in a Monsoon dress. The Readings – “The Two of Us” by the Mr T Experience (it’s a song, but worked better as a reading), read by Jen with confidence and spirit on her first major event in maternity gear. Music and First Dance – Ian’s a ska fan and I love indie music, so we did our own playlists on an Ipod, which worked beautifully. We had “How High” by the Charlatans going up the aisle, and although we didn’t have a lot of room for dancing, had a bit of a sway to “This Head I Hold” by Electric Guest. Epic. 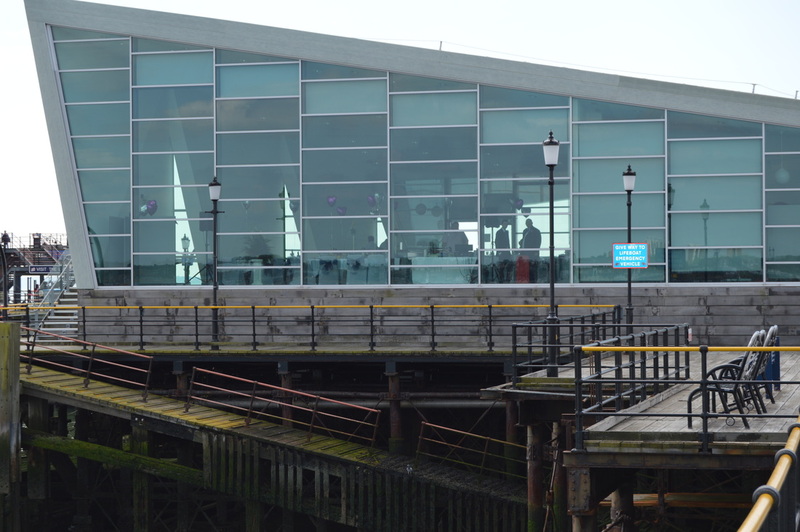 The Food – As the pier is not the best place for fire in general, we had a local caterer, Affinity, who is used to working at the end of the pier. We had posh canapes during cocktail hour, and went back to tradition for the main meal with a variety of small bowl meals, which included sausage and mash. The food was delicious, and the small bowl option meant that everyone could try everything instead of having to choose. 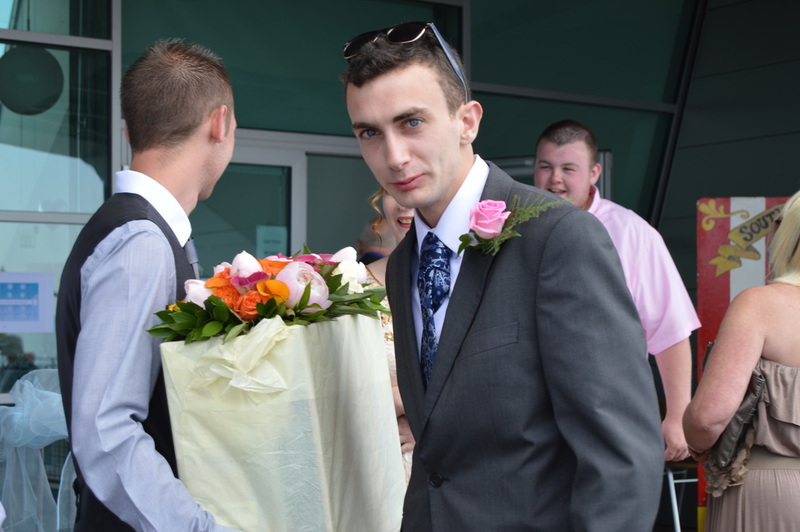 The Flowers – We got the flowers from Southend Council’s nursery which were beyond gorgeous. The Cake – We had a variety of little sweet things from M&S, including macaroons, mini cupcakes and brownie triangles. Not a single bite left at the end! Your Photographer – As we both had a horror of spending half the day posing and still looking like freaks, one of Ian’s mates did the honours and got some fabulous pictures of everyone being random…which of course was what we wanted. 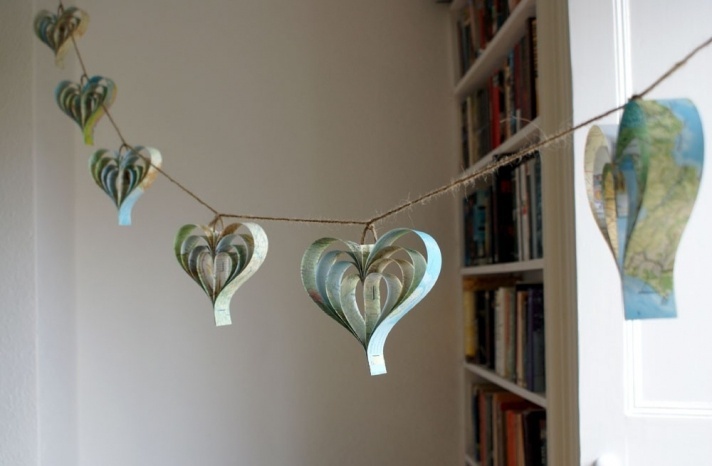 The Details and Décor – A combination of seaside and pirateness – bunting, sea shells, a white and blue colour scheme, and a seagull guarding the cake stand, with a few heart shaped balloons thrown in. 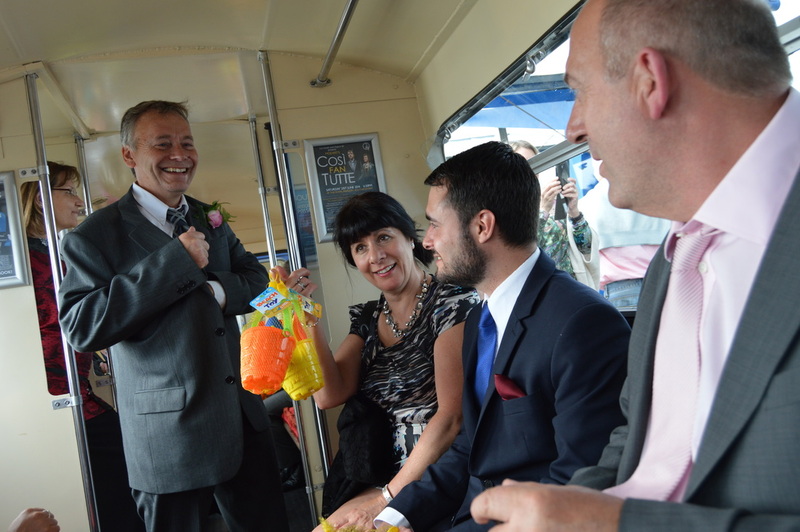 All the guests got a bucket and spade set, “just married” rock, Love Hearts, and their own sea creature. Our master stroke was having Mr Pinchy the lobster hold our wedding rings til they were needed. The Honeymoon – As we have both just started up new businesses, we are looking forward to spending Christmas in Fuerteventura. If our honeymoon-ness has worn off by then, we can at least be arguing in the sun! 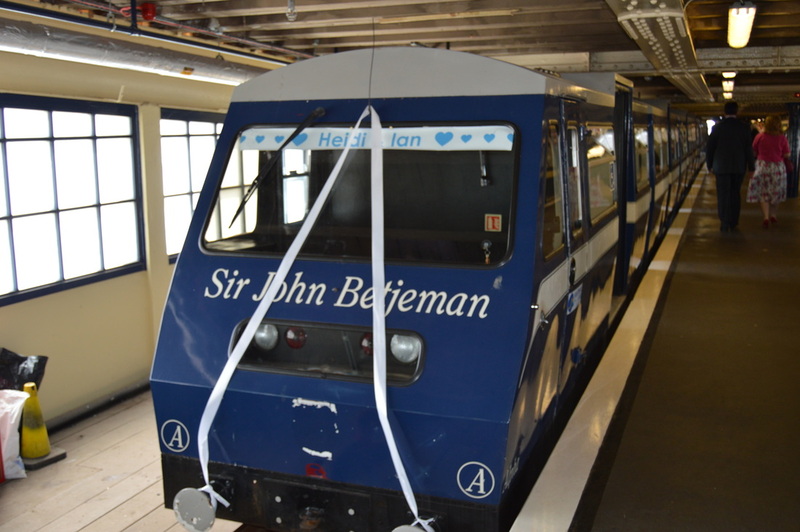 Memorable Moments – The noise level was truly remarkable with plenty of laughter – we especially loved getting our two lots of friends and family together and seeing them get along so well. Advice for other couples – Chill and share! We had a mega time bouncing ideas off each other, and loved that our guests knew who had put what ideas into the mix. Bring your personalities into it. When you’re in the planning stages, think about what worked and what didn’t in other weddings you’ve been to. Ask your married friends what the best bits of their big day were. When you’re setting up your budget, sort out what your priorities are and spend up there, cutting back a bit elsewhere. 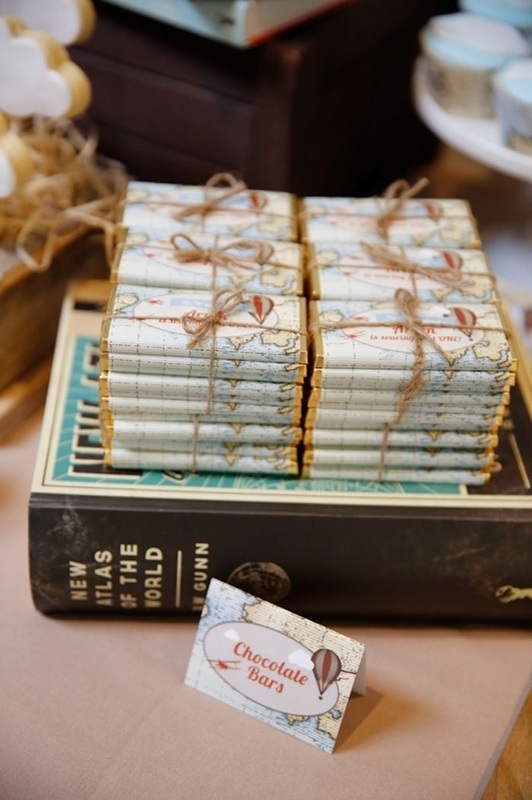 Wedding websites and Amazon will be your best friends when it comes to looking for those little special touches. 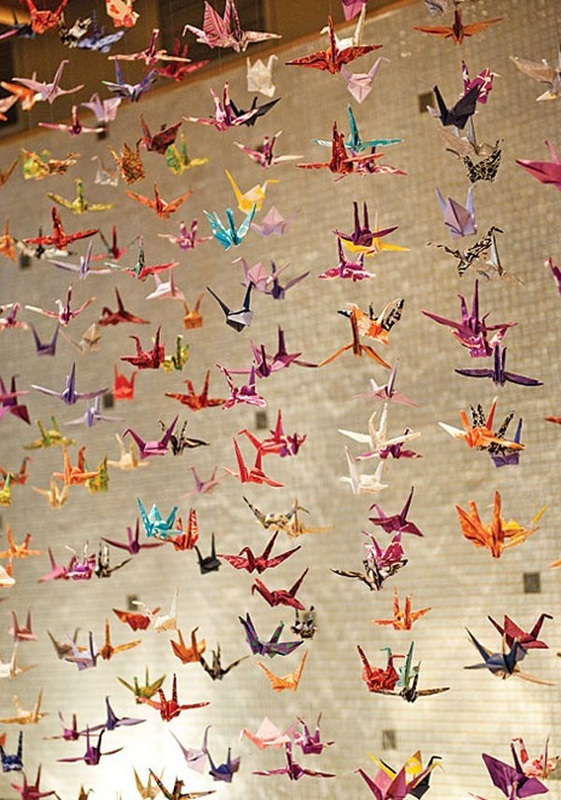 And please remember that everyone’s there to share your joy, not to find fault. And if you do have potential guests like that, do you really want them there? It’s your day. Own it. Wish you a wonderful wedding! Thanks so much for all of this great information on your day Heidi, plus this excellent advice – ‘chill and share’ seems like perfect advice to me! We love the idea of the ‘small bowls’ for the meal, the reading sounds epic and the Charlatan’s song is one of my faves! Good luck to both of you and have an amazing honeymoon in the sun! 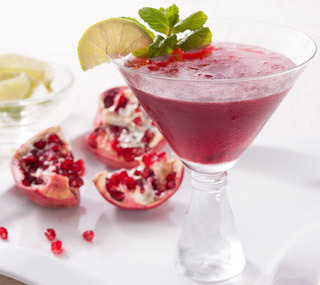 Combine the pomegranate juice, rum, cassis and lime juice in a large pitcher. Cover and refrigerate until cold, at least 4 hours or up to 1 week ahead. In a blender, combine 1 1/2 cups of the juice mixture ad 1 cup of ice cubes. Blend until slushy. Pour into large martini or wine glasses; garnish as desired. repeat with remaining juice. 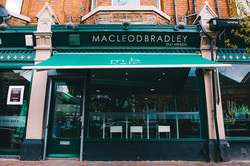 Macleod Bradley Boutique Salon – Supporting Local! Supporting local again… this time with the fabulous boutique hair salon Macleod Bradley situated in the heart of trendy West Didsbury on Lapwing Lane, just off Burton Rd. Led by owner Helen Bradley, the team focus on developing a personal profile with each individual client, so that upon visiting the salon, your stylist is fully briefed and ready to offer a full consultation to give stunning results.The salon itself is truly beautiful and sits fabulously amongst the other great businesses along this gorgeous tree lined street in West Didsbury. A full range of services are available from a cut and finish through to three full bridal packages, and cater for male and female clients. Check out http://www.macleodbradley.co.uk for the full details of the bridal packages, which generally include a full consultation at least two weeks prior to the wedding day, a bridal gift bag and champagne breakfast (but this varies depending on the chosen package.) Alternatively you can book by the hour with two amazing bridal specialists, Kate Ruddock and Olga Hilario. Bradley will be a beautiful ‘experience’ as this is what the team pride themselves on. They concentrate on making the entire visit to the salon an all encompassing pamper session: if your appointment is early in the day, they can arrange for a fresh breakfast to be delivered directly to your styling station. They have wi-fi if you need to catch up on emails or prep for a meeting. They’ve also introduced the Blow Dry Bar for those of you who are short on time but still want to feel and look uber-glam, which has a great 30 minute turn around! Fast Glam at its best! 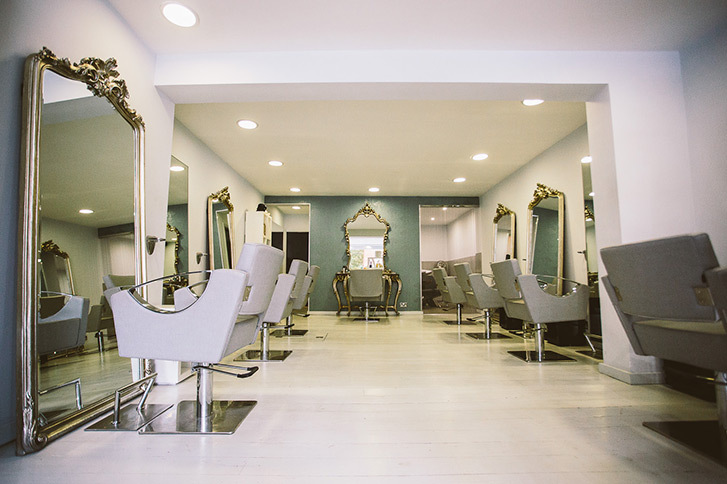 Helen are her team are at the forefront of creative styling, often competing in prestigious national awards and can be found in the Good Salon Guide as a five star salon. They have won the Schwarzkopf Colour Creative Team Awards and the overall Creative Team Award for the North. The stylists are often in demand for fashion shoots making them fantastic ambassadors for the brand. 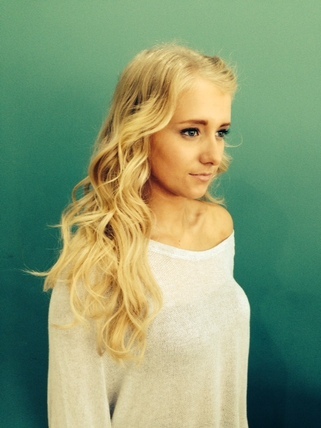 And if its ‘more hair’, not less that you need, Anna Stubbs is the Hair Extension Expert. She can work in whatever length and colour that you’re looking for, giving you a complete new look and plenty of va va volume! The boutique retail area within the salon stocks the best of the best on the product front, including the wonderful Kevin Murphy, Bamboo and Cloud 9. 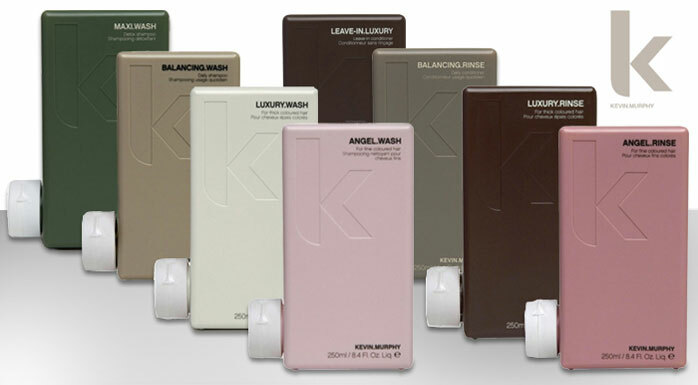 The team are well-up on their product knowledge and are very helpful when it comes to recommending the product that you need in your life… Kevin Murphy Angel Wash smells truly divine (the packaging is pretty cool too! The salon does not stop at hair either! They offer a full make-over service on a Saturday with make-up artist Samantha Metcalfe..
Macleod Bradley’s tag line is “we are not just hairdressers – we make people feel good about themselves…” which is completely true. 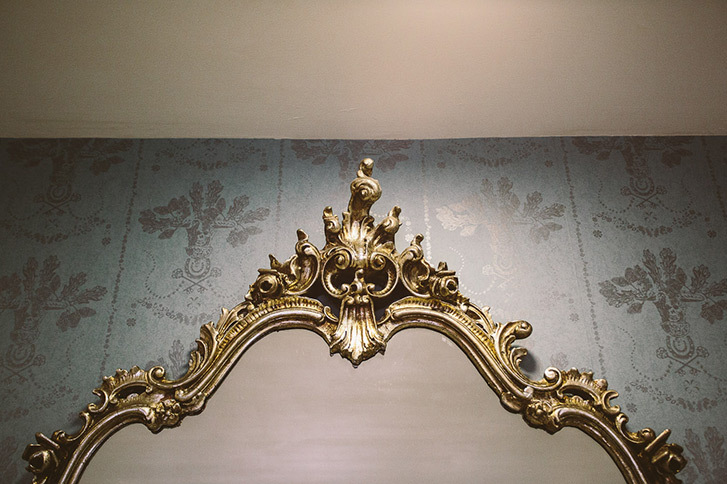 Visiting this gorgeous, serene salon will leave you feeling posh, pampered and positively perfect! 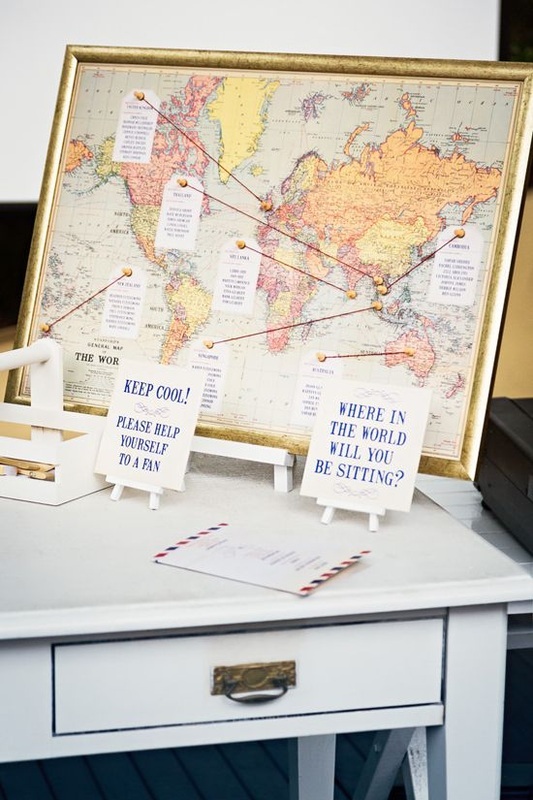 So you and future hubby love travelling, holidaying, city breaking, road tripping, whatever you want to call it…how about using this as your wedding theme? How romantic is it, after all, to jet off or sail away to somewhere new with your other half? 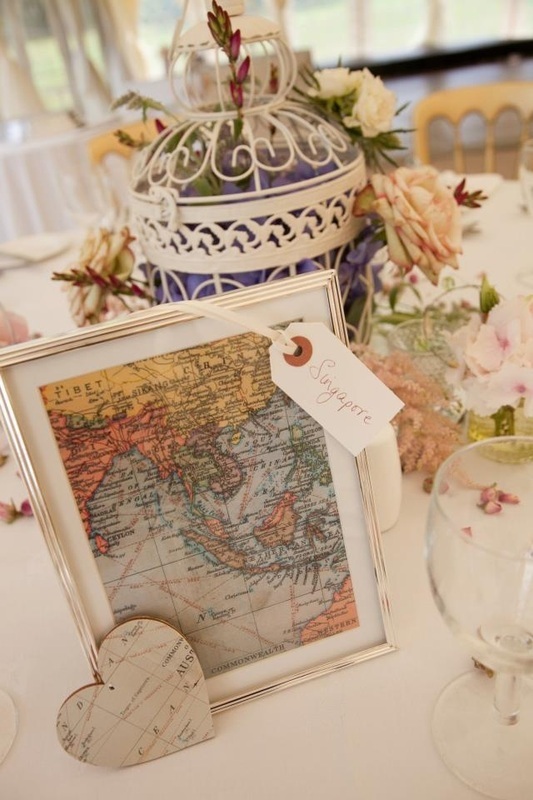 Sharing new experiences, cultures, new tastes and sounds and embracing your adventurous spirit is so liberating and has the power to bring you closer together, so being able to incorporate this into your big day could really give your guests a sense of whimsical adventure. 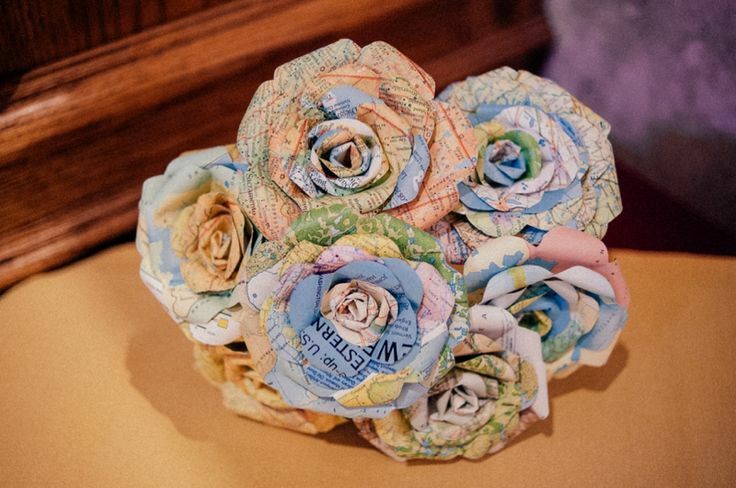 Maybe you’re having a destination honeymoon, or just generally have the travel bug! 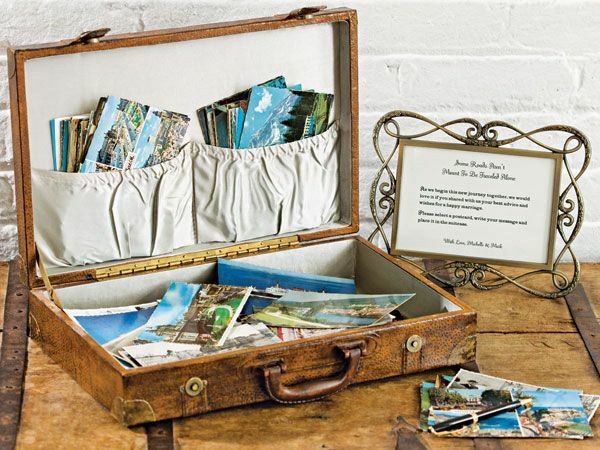 Either way, we’ve researched some great ideas that you could use to inspire your big day, some great DIY ideas too. 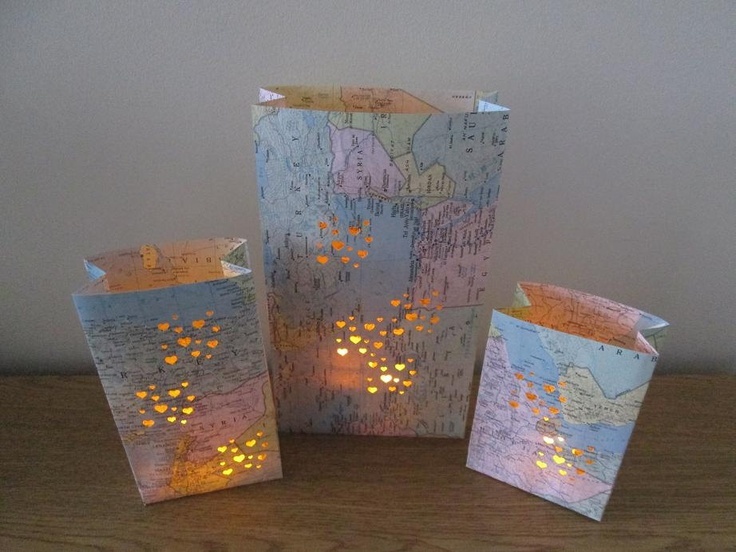 Of course at Cute Maps, we are a sucker for anything map and travel related so needless to say we have included some of our own designs to inject a bit of fanciful ‘map chic’ to the travel theme! 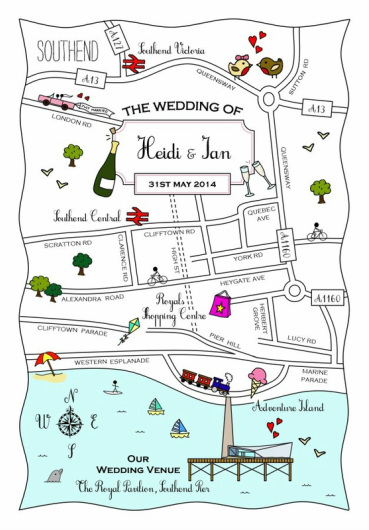 Whether it be a stylish bespoke map to invite your stylish guests, a custom designed Cute Map Table Plan, map magnets to give out as favours (…and many many more products..!) 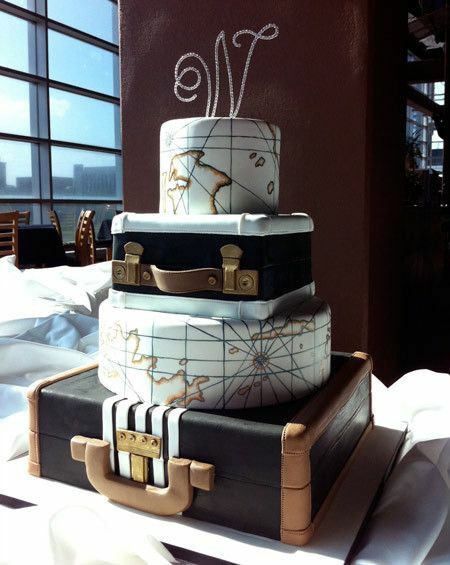 we hope that your big day is every inch one of the greatest adventures of all..